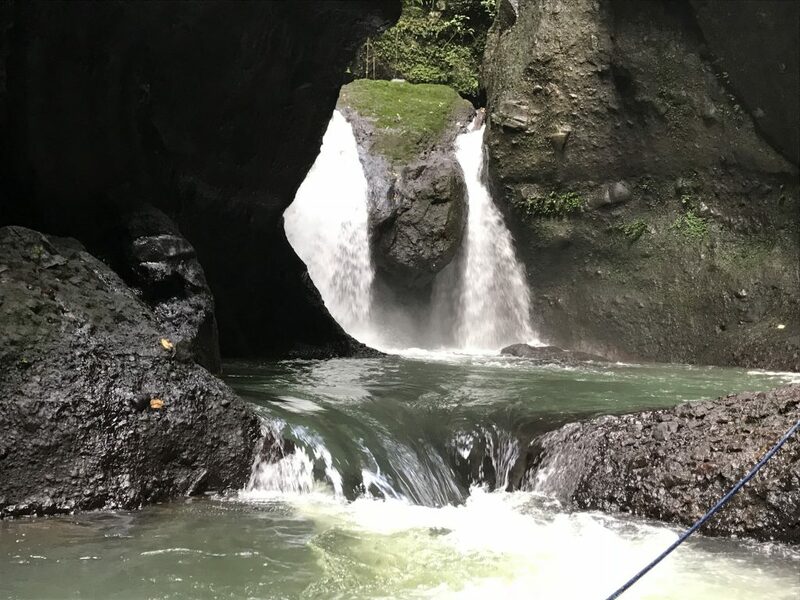 Ambon Ambon Falls is located in the Panguil Eco Park in Laguna province and is one of the most amazing waterfall experiences I have had in the Philippines. The Eco Park itself is a great testament as to what can be done in this country with some initiative and planning. The Park itself is set amongst 17 hectares and has been beautifully developed thanks to some co-funding and a loan by the World Bank. A total of P22M was poured into the Eco Park to help develop this into what I consider to be one of the best nature parks and hiking destinations I have been to in the Philippines. The Eco Park has a total of 28 staff and each morning they spend a couple of hours each cleaning and tidying the park with each person having their own designated area to look after. Needless to say, the park is in pristine condition with not a drop of litter to be seen anywhere. The guides are very helpful are very friendly. Among the facilities are a swimming pool and several nature cottages (huts) along the riverside in which you can chill out and relax with a picnic lunch. 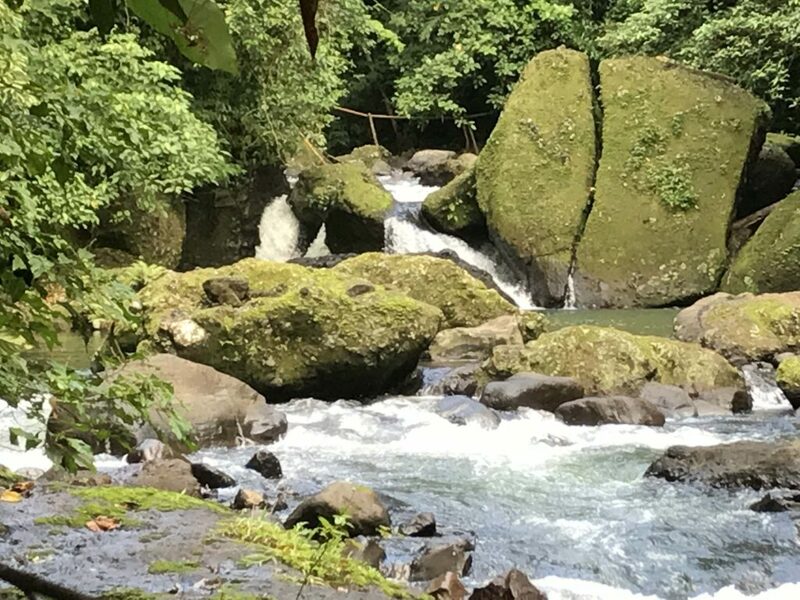 The hike itself is fairly easy with paved paths most of the way aside from several river crossings across Panguil River. Three of the water crossings are done by literally walking through the water with a rope to hold on to. The water is only waist deep, so it’s not very difficult. Then there are three crossings on a stand-up bamboo raft. The, there is one narrow bamboo bridge, and also a bamboo ladder to climb which is only a metre or so high. Then you have some rocks that you need to stan on which can be a bit slippery, but still fairly safe. Overall, this really adds to the experience and makes it one of the best waterfall treks I have done in the country. It takes less than one hour each way to the main falls, so depending on how much time you spend taking photos and stopping to enjoy the falls, you can be finished in around two hours easily. Being only 2.5 hours from Manila, it really makes for a great day trip. You can watch my exciting short video that outlines the trek. You can also watch my interview with Raymund Diaz, the GM of Panguil Eco Park. 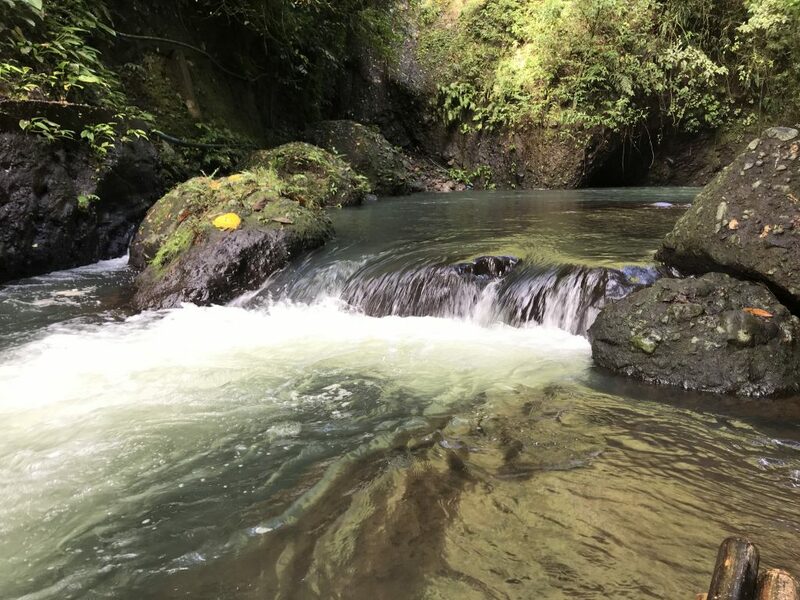 Here he explains everything you need to know about Panguil Eco Park and Ambon Ambon Falls. Cost: Registration Fee is P135 (this is made up of an entrance fee and a trekking fee). Tip for a guide of P200 is standard. This is just before the second river crossing. You can see the bamboo bridge just above the falls that allows you to cross the river. This is the second last river crossing that involves a bamboo raft. 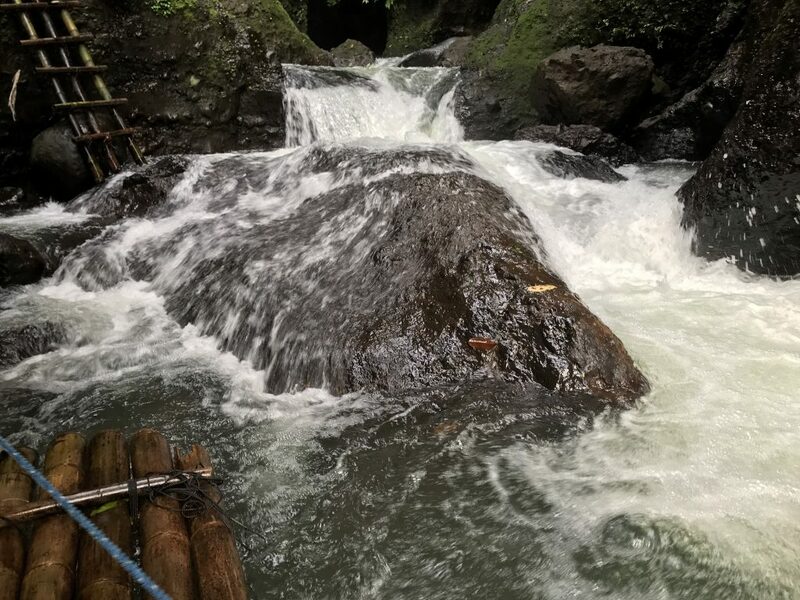 You then scale the bamboo ladder and you are just about at Ambon Ambon Falls. And finally you make it to Ambon Ambon Falls. From here you can go right up to the falls for a shower! Please click below to check out my vlog from this awesome waterfall near Manila! Buntot Palos falls is about 75kms from Makati, going around the north side of Laguna De Bay (R5), and is about a 3 hour drive. The landmark area to look for is Pangil Eco Park. You can easily find it on Waze or Google maps. Best time of year is after the wet season so that the waterfall has a good volume of water. January to February is best. Come prepared to get wet with the river crossings and the chance to stand under the falls. Travel lightly with regard to belongings.